Maximize Change Adoption Using Persuasion and Influence | Infoworks® International, Inc. Maximize Change Adoption Using Persuasion and Influence | Infoworks® International, Inc.
We all need to know how to use our influence and powers of persuasion to support needed changes, whether with family, work life, or life in general. For project managers who are focused on delivering and leading change initiatives, persuasion and influence must be targeted and focused. This is needed to ensure that the company will achieve the expected benefits of the proposed solution or change. Have you ever been part of an initiative (whether as a team member, end-user, impacted stakeholder, project lead, or sponsor) that continued to experience challenges? Common challenges include increased employee resistance, lack of leadership support/backing, delays, insufficient involvement of subject matter experts, an extended go-live period, or a total failure to implement the change. Project managers tend to place their focus on completing projects on time, on schedule, and on budget. These are all vital components to a successful project, but we now understand that we need to do more. We need to create buy-in, overcome resistance, create a smooth transition from the past to the future, so that expected business benefits can be achieved. This involves using persuasion and influence to help move people through the change journey. Periodic communication messaging is needed to set the stage for what’s coming and when. These are usually owned by senior leadership to set the stage for the upcoming changes. Targeted communications can be spread out over a period of time to continue to build interest. People need to have a reason for the change; the stronger the better. Targeted areas may have different motivations for the change. Understand your audience and create the message that will resonate with them; i.e., “make their job easier,” “new regulation change,” or “support growth in business.” Look to gain and involve senior and mid-level leaders to reinforce messaging. This is about training and knowledge transfer. The focus now turns to finding the right methods, modes, instructors, and materials. Consideration factors include: what has worked in the past, and the strength of the resource pool for creating instructors (internal/external, SMEs, etc.). Look to use methods that align with the company’s people and culture, i.e., new web-based tools, JIT (just in time) delivery, instructor-led, reference-based, etc. Build a Center of Knowledge team with change agents representing all impacted departments and continue to expand and/or rotate membership. Identify key performance indicators (KPIs) and create a metric baseline to compare progress. Be sure to select the most relevant metrics that can be measured for current as well as future activities. The training schedule should be planned close to the go-live date. Too much knowledge and ability can be lost if training is done too early, which could then lead to possible delays. This period is where you want to catch those slips into “back-peddling”, such as using old ways. Again, metrics and a strong support group will need to be in place for cutover and sustainability efforts. Finding those strong players during the training sessions is a good way to help build the strength of the “going forward” team. Keep in mind that during all stages risk management needs to be an active process. Persuasion and influence are important to change initiatives, and in my experience the Prosci ADKAR® model can be very helpful in achieving a successful change. 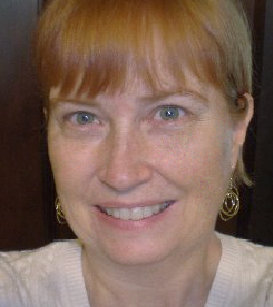 Jeanette Bordelon, PMP®, has been leading projects for over 25 years. Her background includes work in many industries as an employee and a consultant (independent and large consulting firms). She realized early on that there was a need to help people understand and accept change. She established her brand as “The Persuasive PM” and is a national speaker on “Persuasion and Influence” and the change journey. Jeanette has also developed and instructed seminars on leadership and change, and works with project managers as a coach and mentor.